This article follows on from my last one, focusing especially on addressing the third challenge I mentioned: how to engage hearts and minds in change. I spent a long time last year writing a book on how to handle change in church better. Clearly a specialist topic you may say! But, during the summer, I sat back to consider what all the research and energy that had been put into the book had to say for other organisations. How special is the local church setting? I like writing, and writing a book is a fascinating endeavour – part creative, part tedious. At its core it is a great challenge to hone concepts, thoughts and ideas to a sharp point. Writing has a precision that speaking can avoid and this demand fuels a creative edge. I sat in front of a cappuccino in my local coffee shop considering the wider application of the content that I had been wrestling onto paper. Here, in this creative space,I realised what it was. I was grappling with the challenge of generating wholehearted commitment to change. 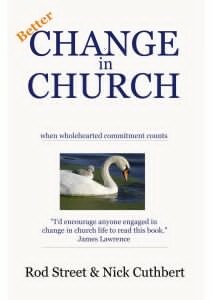 In church, as in many of these sort of community organisations, it is often impossible to realise the desired outcome of a change without the real commitment of everyone who is expected to participate. the difficulty in getting unattractive but essential tasks carried out (I notice that there were fewer party posters on lampposts in the last election). Without wholeheartedness few of the most potentially desirable goals in these organisations will be reached, whatever the leaders’ rhetoric. I realised that in many respects, I was summarising in the book how to lead change and carry people with you: how to build wholehearted commitment to a change. However, after further reflection on the ‘unique’ qualities above, I realised that the list of points could just as readily be applied to commercial or public entities… or at least any that aspired to be high performing and innovative. Ideally people choose them because they resonate with their own values, talents and goals. Structures frequently change, and often do not operate as they seem. Governance is by consent: those organisations that focus on command and control do not move fast enough or effectively enough to compete well and grow. Tools for coercion are much weaker than some leaders think – especially if you want the whole person and not just their body to turn up for work! Sadly many leaders and organisations simply don’t get this. How do I know? Partly personal experience and partly data. In terms of data there is lots of evidence of the lack of employee engagement around the world. Performance is highly dependent upon engagement and in most organisations around the world engagement is a scare commodity. In 2013 Gallup measured levels of engagement in workplaces around the world and found that as few as 1 in every 8 workers could be described as engaged. In the UK it was 1 in 6. Most (over 6 in 10) were not engaged, and a quarter were actively disengaged. Other sources put the figures higher but most call out the same issue – hearts and minds are in the minority in the workplace. Most people are coming into work without any drive to think about better ways of moving the organisation forward or new ways to tackle the most pressing obstacles they face. They are not experiencing the enjoyment of ‘flow’ in their work nor the satisfaction of feeling that they are serving higher goals in their lives. When change comes along leaders whose mindset is more task focused, control focused and ‘my agenda’ focused, lead in such a way that it simply reinforces employee disengagement and cynicism. The very steps that they follow and their own interaction with staff disempower and disengage. In a commercial and public world that is experiencing endemic, rapid and diverse types of change the failure to win hearts and minds is a big, big loss. Furthermore in such a situation, really effective leadership is intimately linked to the leadership of change. Effective change leadership is the order of the day, week and year. In this respect the work that I had been concentrating on for the year was of a much wider significance than I had appreciated when I had started. I was looking at change in an environment where all the participants hearts needed to be engaged. If you had to advise a leader how to lead change in a way that maximised the probability of generating real commitment, what would you say? Some aspects of this question are captured in change management and adaptive change approaches especially speak into this space. Yet in all my research I had not seen it summarised succinctly anywhere. I knew parts of the answer, but I had never tried to distil it down. With that in mind I tried to produce an answer on a single sheet of paper (or screen!). A set of principles that I might be able to remember and call to mind to shape actions in change programmes or in communication to leaders. I started with five but after consultation with some colleagues the list grew to six. Still enough to sit comfortably on one side of A4. Are these a definitive list? I don’t know. I doubt it. But after a lot of thought I think that they, at the very least, provide a strong starting list… and one that it is possible to keep top of mind. Despite having been a supporter, follower and practitioner of the art that is ‘change management’ for many years, I only recently reflected on why it is worth doing. I first picked it up as a formal discipline in the early 1990’s, and simply used the insights and lessons that it provided because it made sense to me. They seemed to fit well with much I had learned about what really helps creativity and innovation, where the learning and adoption of new products, processes and structures clearly depended on both finding great new ideas and persuading others that they were worth pursuing. As a consultant who became heavily involved in the ‘re-engineering’ of business processes, it became obvious to me that merely ‘having the right answer’ even with an ironclad business case, may not get you very far. Change management seemed to offer ideas, approaches and frameworks that helped with this sort of difficult change in organisations. Helped meant ‘helped made things work’. As such the ‘why’ for change management has always been for me – because it helps make other change work. Not paying attention to it makes it more likely that changes will fail. Perhaps that was enough for me. Yet with the increasing pace of technological advance, the convergence of markets, and the impact of globalisation, change has become an endemic feature of most organisations now. Every year in organisations large and small there are multiple changes that need to be landed successfully and often these are big changes! If this is the case then change management becomes virtually the same as good everyday management. Certainly it challenges the boundary between business as usual and change. Good leadership demands an approach that presumes that changes will need to be implemented. Indeed leadership is often measured by its ability to realise these changes at speed, with depth and breadth, successfully. New Executives come in with not just a mandate for change but a demand for change from those who appoint them. Timeframes are short. The focus is very much on results (and not normally on sophisticated measures of them either). So, is change management still just about success? Clearly it must be effective to stay on the management agenda; so this doesn’t go away. However I think it is being increasingly asked to work more specifically on some of the determining factors that create sustainable success. So where should it concentrate attention and develop its focus? As the pace of change has accelerated and change has become the norm, many voices have challenged the value of models of human behaviour that suggest three ‘states’ in change (before, transition and after) based on the reshaping of people’s expectations and their acceptance of the new situation. Is it helpful to think in terms of steady states and their transition? How much does it help to think about change management in terms of projects within a static framework? Shouldn’t it really start to pay more attention to the framework itself? If change is constant then shouldn’t we focus on the context. Hence, why creating organisational agility is an appropriate aim. How does change management help leaders rethink the structures and processes of an organisation so that it is more nimble and able to handle a rapidly changing context? Many of the traditional perspectives and tools are not as helpful in doing this as they might be (as a new book by Paul Gibbons, The Science of Successful Organizational Change, identifies). What is needed is something that focuses on the context itself and how this can be designed to help people identify and adopt changes faster. Here the ideas of the learning organisation, the application of behavioural economics and insights into cultural change could become valuable avenues for more effectively incorporating into change management. I have worked with and observed tens of change management initiatives in my working life. The typical structure is something welded onto a business or systems initiative that has specific aims. 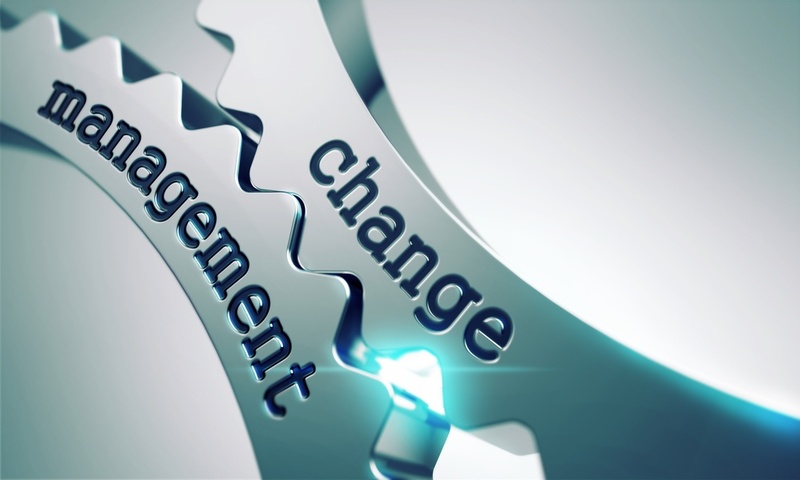 As a result the change management elements often get focused down and have very limited goals – to get the real change in smoothly, quickly, effectively…etc. They quickly lose any nuance and default to simple core methods. Wider aims that might have value are dropped for reasons of resource, time or because the business benefit is not well articulated. The narrowed focus contrasts with ever widening risk management practices that have become more resource intensive over the last decade, not just in response to the growth of the regulatory environment but as much in response to the perceptions of increasing complexity and risk, and a desire to enable more pre-emptive management. If change management is about success, it is about risk and yet it has not managed to embed itself as effectively as it might in this area when the default is a risk register and a project mentality. Yet thinking through the human risks and issues is a powerful way of identifying, calibrating and addressing risk and could help ensure ‘success’ at a corporate level. To realise this though there will need to be more development and use of detailed frameworks (such as the one developed by Burke-Litwin),or categorisations and taxonomies of change capability to help build a comprehensive view comparable to the enterprise risk management frameworks that have appeared. A more detailed, and perhaps more generally used, taxonomy for change capability would help increase its ability to address both specific topics and organisational agility. The final area of challenge is ironically where much of change management concentrated its original attention – with the people who are the target audience for change. Change management often concentrates on people’s behaviour: how to ensure that salespeople use their new systems in the way intended, how to ensure that staff really adopt new roles, or how to ensure leaders start to generate and action the details of a new strategy. All this leads to an enormous focus on communications, skill development, knowledge transfer, sequencing of change, incentives etc etc. These are important and all relevant. Anyone who has come across ‘nudge’ would underwrite the importance of getting the context for change right and making it easy for people to make the best decisions as a change comes in. Yet there remains a deeper challenge in our individual-choice driven society: the challenge of winning hearts and minds. Gaining real commitment for something new requires people to choose it for themselves. Focusing only near term behaviour misses the need for sustainability. Forming a team needs more than simply a gathering of individuals; it needs a unit with synergy. As organisations find coercion less effective, where volunteers and stakeholders are critical participants in successful change, and where individuals are experienced self-choosers, change management has to think about how do you really go about winning hearts and minds for change. This is an area that needs more attention. Success remains the bedrock for the sustainability and relevance of change management but it needs to develop its focus beyond the project orientation and look to the context of the organisation, the granularity of its thinking and the hearts of its participants. These are increasingly important for effective leadership in our organisations. “Mark Twain said that the only person that likes change is a wet baby. Yet, as this book argues, change is both practically and theologically at the heart of effective Christian community and the gospel. 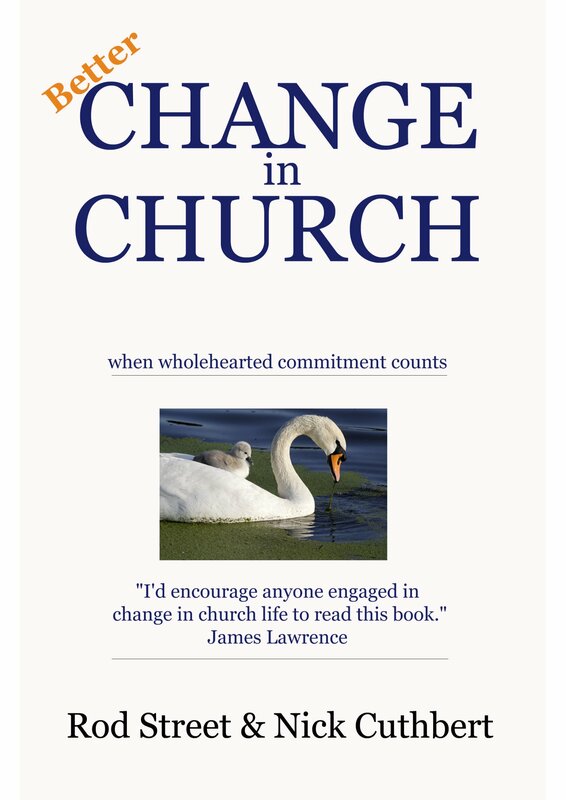 While there are many books on ‘change’, the focus of this book, as its title infers, is very much on change in the context of the Church and this is a real strength. The authors bring to bear their own extensive experience of change leadership to provide a wealth of practical ideas and wisdom, which ensures the material is highly relevant and the issues explored are very recognisable to any church leader. The book is both well researched and very comprehensive. Change and its role in the development and enabling of vision, communicating well, addressing conflict constructively and creating and sustaining momentum are just some of the issues explored. I found the chapters on the human dynamics of change, together with the specific role of the leader in preparing for, initiating and guiding change, particularly incisive and helpful. Tougher issues are also addressed such as barriers to growth and change and the reasons many change initiatives fail. Although the authors rightly shun a formulaic approach to change, at the close of the book is a framework which bring the key points and principles of the book together to facilitate their practical application. Each chapter also concludes with a helpful summary. This is an outstanding book and will be of immense help to anyone involved in Church leadership, whether embarking on change or currently on a journey of transition. I highly commend it. The UK energy market has been coming in for a lot of criticism in the last few weeks because although wholesale gas prices have fallen a third since their peak at the end of 2013, the best big six price reduction has been 5% (British Gas and npower). The press and MP’s have criticised the market, suppliers and the regulator. The Commons Energy and Climate Change Committee published a withering report on the regulator and their attitude to value for money, and there was no evident sympathy for Centrica with its 35% profit fall when they published their results last month. Yet it is not true to say that people do not have a choice. Whilst there has been this barrage of criticism across all news media, Martin Lewis, of Money Saving Expert fame, has been just as vocal in challenging energy consumers to take ‘just 10 minutes to save £250’ by using comparison sites and the internet to find the better deals that are on offer from smaller suppliers. Similarly, the Competition and Markets Authority has calculated that 95% of duel-fuel customers could have saved £150-250 simply by switching tariff from the big six. So the question that intrigues me is this: Why is it that half of the homes in Britain don’t care enough about switching and are not interested in earning £200 for 10 minutes work to secure their share of £2.7bn? These are not ‘rich’ households and given that real household incomes have fallen, why wouldn’t people make such a small effort for such a large benefit? It is not exceptional … your probability of divorcing is greater than that of changing your bank account (if you are married of course!). There has been no proper study on this, but identifying the possible reasons could help to answer the question of whether politicians should be that bothered and how to make progress. Equally it might provide insights into other change situations. We know that people remember an experience based on its peak and last levels of pain (or so we are told about mothers and childbirth). 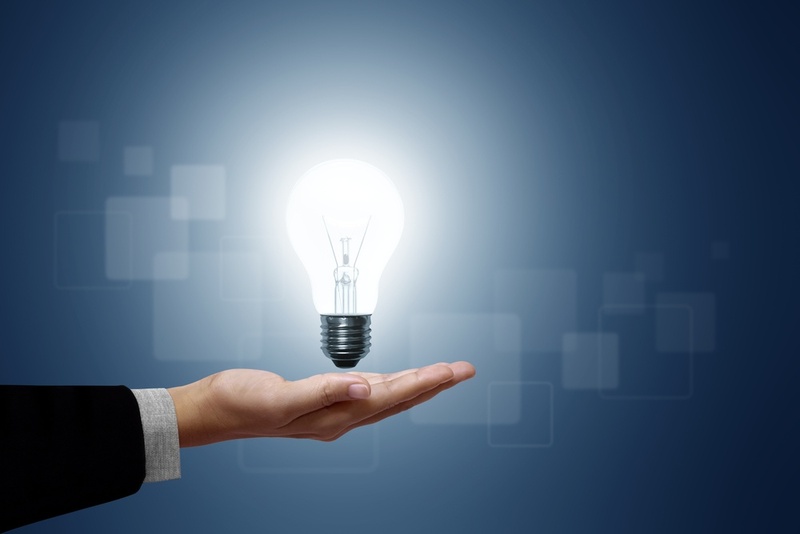 Changing energy suppliers takes only 10-15 minutes but it is a task that demands detail and concentration. It has no immediate emotional reward. It is cognitively painful for most of us. Against this we have a prize that, although worth a lot of money, is something that people will never really experience. Yes they will pay a little less for their energy for the next twelve months but there will be no large cash sum in their hands. No clear prize that they can experience. Only slightly lower bills each month. The experience is not clear enough. Maybe if the cheaper supplier paid you (upfront?) a large cheque our senses would see it differently…and if it really is that clear then suppliers could. We all know about someone’s aunt or friend who tried to change and the process screwed up. These disaster experiences get related by people whenever the subject of a change is mentioned and succeed in scaring off a few more people. The ‘reference point’ will explain how everything became more expensive rather than cheaper and created a load of hassle. There is a rational risk aversion that this feeds and in these cases it needs addressing. Some quantification of the real numbers who experience issues and a more transparent and effective regime for rectifying issues would help unlock confidence to change. For people who have never made a change in their supplier (and there must be quite a few given the stability of the British Gas market share) then there must be a real fear of the unknown. These people are being asked to take a completely new and unfamiliar step. This is compounded by the fact that the switch is primarily conducted on what is a very recent and poorly understood medium for many, especially older buyers – the internet. Some will not want to give out card details (fraud risks) or email addresses (phishing and junk mail) and many will not be confident that they can fill in the forms easily and without human support. Such fear could be overcome with either telephone help, co-browsing support or even local workshops… which could even be charged for. (At £25 a change that could still earn ~£100 an hour). Transition support is vital for some people. Experts in psychology and decision making have established that making choices, especially where there are many options, uses a lot of energy and creates stress. This leads not only to fatigue but also to people seeking to avoid making decisions. The best example is that if a store stocks too many jams it will sell fewer jars than if it limits the range on offer (and therefore the choice that it asks people to make). The nature of an unfamiliar decision where there are uncertain outcomes, a legal commitment, many variants (providers and tariffs), and the potential to get details wrong and create problems puts people off the change and they avoid it – because it is their choice and they can. 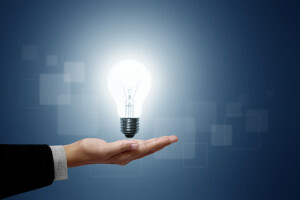 The government has tried to cut in on this issue by working on the tariff complexity (but this is compromising cost for some groups of consumers) and by improving information by insisting on documents that at least stand a chance of explaining how much gas and electricity a household uses. These are good starts. It is not an easy obstacle to address but not enough has yet been done here and the judgement over what constitutes simple to understand information seems not yet to be simple enough. Maybe it is time to insist that companies use a third party reporting mechanism – and build in comparisons for good measure automatically, where the top 3 or 5 competing offers are listed. Some consumers I am sure stay where they are in the belief that there is some value in the stability and longevity of the relationship that they have with a supplier. They probably believe that this will prevent problems occurring in continuity of supply or in the resolution of administrative issues – a belief that longevity confers loyalty, whereas a new supplier would not have any sense of commitment. I empathise with this as a bit of me thinks like this – even when it is not true! Good regulation on service standards that are faster to press the likes of Scottish Power and npower to address poor service would help – especially if the regulator made their own performance more metrically driven, easy to access and transparent. Lets be honest – having to keep a checking on your energy is a real pain and there are many other things that it is much more enjoyable to do not just after a long day of work but even after a relaxing sit in the sun. Words like tedious, boring, fussy and fiddly are just a few of the adjectives that come to mind. It really is inconvenient to ensure that you always have best value. This is a real opportunity for automation to increase convenience – a factor that really helps to make change motor more quickly. It’s why third party sites like moneysavingexpert.com can be so useful. Membership of their energy club does the monitoring for you for free and emails you prompts, unless you have already fallen out of love with the Big Six in which case like me it doesn’t work because my local cheap supplier is not covered. Six hurdles that, if jumped, could energise the consumer. Six factors to consider when considering any voluntary change. The initial strategy in the Iraq 2003 invasion was described as ‘shock and awe’ (apparently technically it is called ‘rapid dominance’). The aim is to “overload an adversary’s perceptions and understanding of events such that the enemy would be incapable of resistance”. It is a strategy to prompt a sharp change in behaviour. It is a well established idea. The strategy was the justification for the use of the A-bomb at Hiroshima and Nagasaki; was articulated by Sun Tzu; and is seen as one factor in the success of the German battlefield strategy of ‘Blitzkrieg’. The rationale is that shock overwhelms the natural optimism and resistance to bad news and enables a sharp shift in thinking. It is for this reason that sometimes leaders seek to follow a similar strategy: Find a shocking fact or idea, use it powerfully to generate high visibility and impact and so promote an urgent and vital change in behaviour. You may, as a leader, feel that it is unlikely to be an approach that you would adopt. But it is more common than we might think and it is a favoured tactic for lobbyists, campaigners and politicians trying to move public opinion. Most recently it has been used about global wealth inequalities (see Guardian). Similarly it has been sometimes used by environmental activists (on everything from fish stocks to carbon emissions), politicians (in warnings about extremist parties or Islamic terrorists) and business leaders (in turnaround situations). The aim is to create fear or revulsion at what might happen and through this a change of heart. But, in case you are tempted to follow suit when leading change – beware! The research suggests that it often reinforces resistance not undermines it. Indeed whilst it brought Japan to the negotiation table in 1945, it did not do this in Iraq. Shock clearly attracts attention and without attention you cannot secure change. The Barnado’s press campaign used images of babies being fed through hypodermic needles or with bottles of meths. It generated more coverage and discussion on child poverty in 2 days than they had raised in the previous 2 years. Shock cuts through. 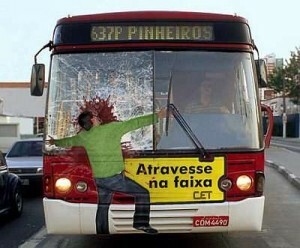 But attention is not action and the evidence is that a fear-provoking message on its own is unlikely to work. This is why health campaigners seeking to prevent alcohol, drug and tobacco adoption by young people no longer major on using these kind of messages. Shock too easily raises the natural defences that stop behavioural change. You might aim to generate fear but instead provoke anger, puzzlement or guilt. None of which help change. Even if you provoke fear, this can cause people to freeze or dig deeper not change. But, apparently especially with younger people, it may simply be ignored as neither credible nor applicable to me (such as people not believing that an organisation in trouble will make ‘my’ role redundant, “I will not lose my job”). So there are many reasons for shock tactics not to work as intended. No message lands on a blank canvas. People’s pre-existing views shape the impact. The result? Without supporting tactics and careful message crafting, it is unlikely to be productive. So what are the keys to making sure a message works? Focus on creating emotional interest, identification, and urgency. These are the keys to making the message appear credible, applicable to me and urgent. This isn’t easy. It needs careful thought. It is very easy for us to avoid owning a problem and taking necessary action. Landing a message where there is a big problem that is a long way off, is tough. Sometimes a focus on the nearer issues is more effective – perhaps fish stocks and energy security versus climate change! Ensure your perceived remedy is effective. People will try to change the message if they do not perceive that they can readily address the underlying issue. The way forward and the credibility of the solution is critical and needs as much work as the shock message. Build up strong, visible support mechanisms. People need to believe that if they change, that they can succeed. For this, they need clear supporting mechanisms. Mechanisms that tip the balance to new behaviours. These might be increased penalties for not changing or greater help to move forward (e.g. giving away free needles or nicotine patches, increasing random breath tests or tighter smoking regulations). Encourage dialogue. A big bold message should not mean a big bold delivery with no right of reply. Leaders need to encourage dialogue, to enable people to engage with the challenge. This increases the credibility of the message. It helps people to interpret it more effectively and it only happens when people can contribute and own the challenge. Build resilience in your teams (i.e. 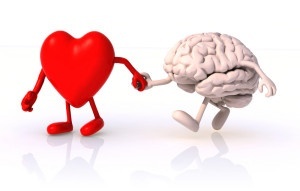 better decision making, assertiveness and coping skills). People are better able to take on a big challenge with these skills. It makes it less likely that they reject a tough message. Working on these basic personal skills before and during a change can help the message be heard. These five tactics help to make a real problem something to be tackled not something to be avoided in any way possible.